How do most people know about Yeongdeungpo Station? Usually, it is because of the shopping that is to be found nearby. 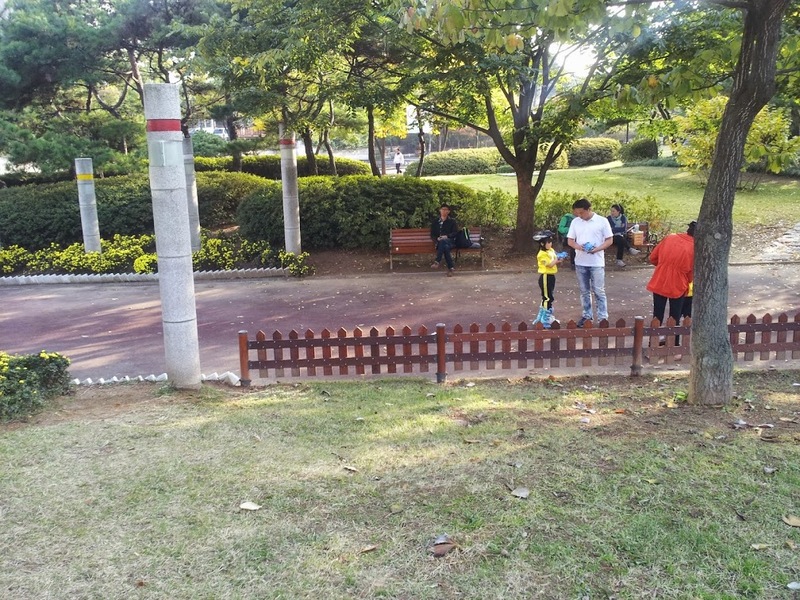 How many people know that there is a park nearby, too? Do you? 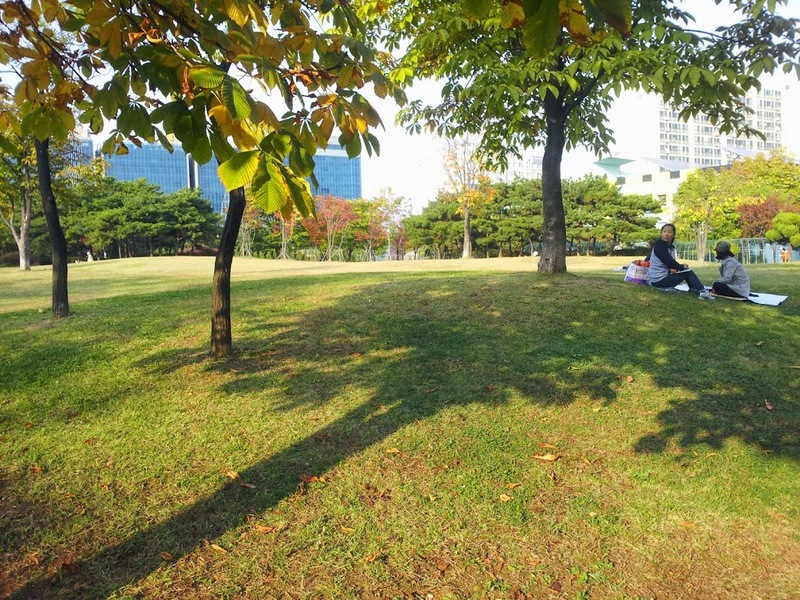 Perhaps the best thing about Yeongdeungpo Park is that it is very conveniently located close to Yeongdeungpo Station. 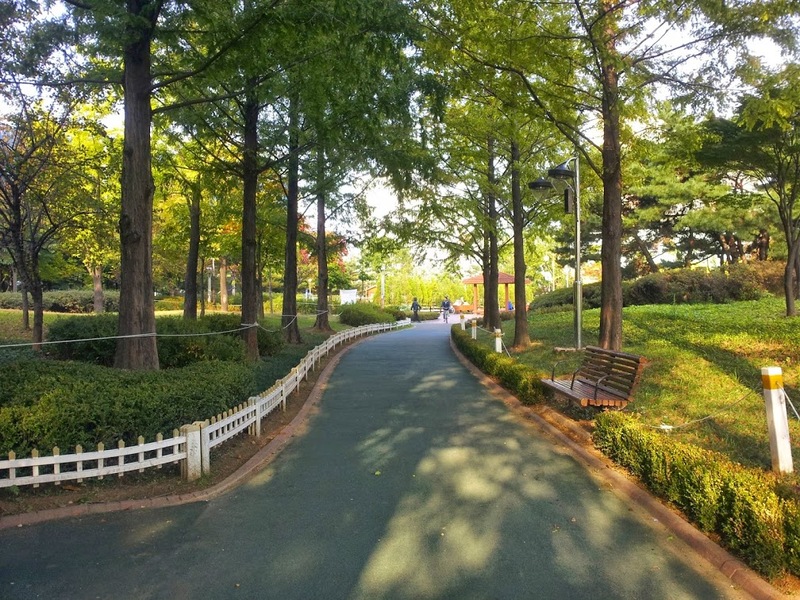 It is very quick and easy to get to the park from the subway station. So is there a reason why you should take advantage of this location and go to the park? Read on and decide for yourself. Frederick Law Olmsted could have learned a thing or two from the designers of this park. 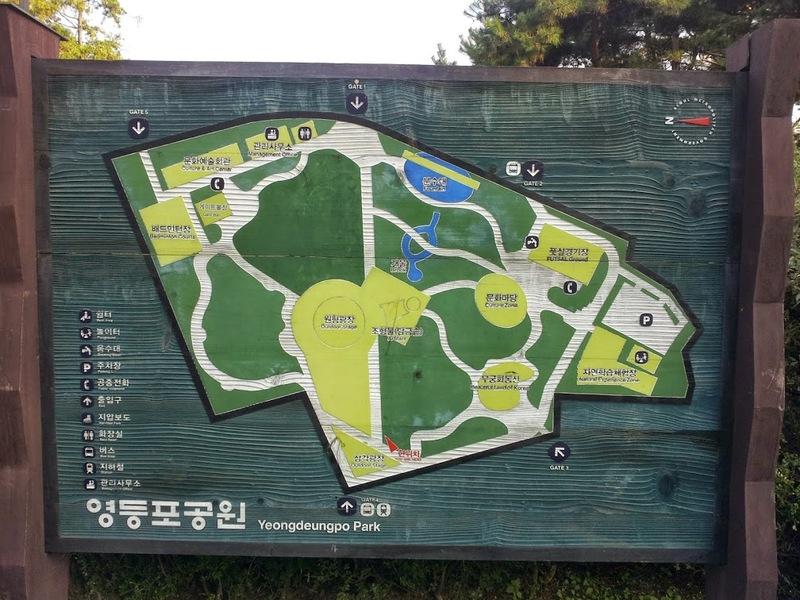 Whoever planned the layout of this park must have had a Super Doctoral Degree in Park Layout. The map lays everything out for you. 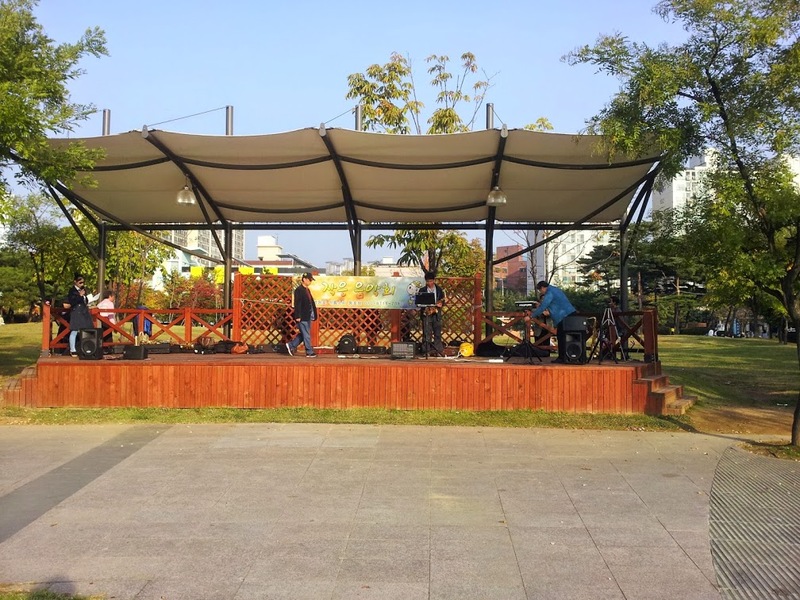 There is an outdoor stage in the middle of the park. Local talent enjoys setting up shop and playing their instruments of choice on the stage. The stage attracts those independent-like acts. Sometimes, all you want is a nice lawn to enjoy. Fortunately, there is one to be found at Yeongdeungpo Park. Plenty of green space surrounds the aforementioned stage. It is a great spot to bring a mat and have a picnic. There is even enough space to toss around a frisbee or football. The park's green space is great. 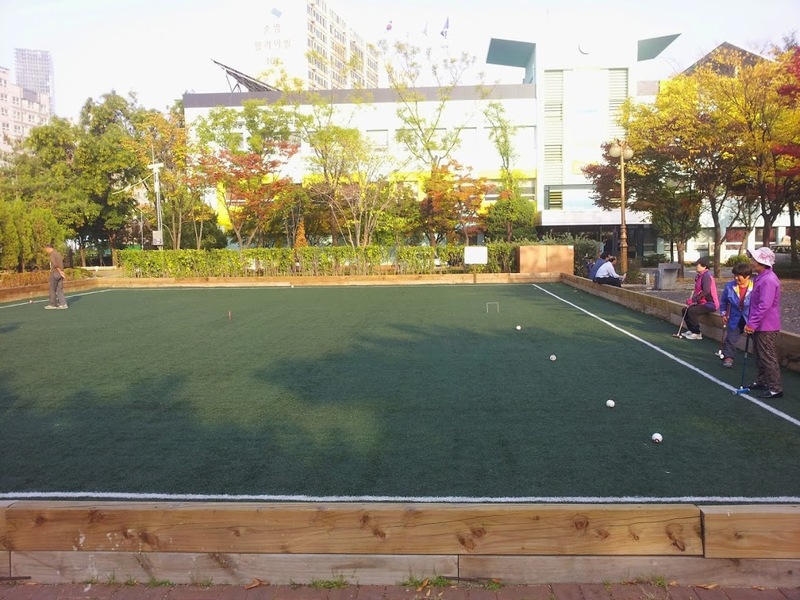 Yeongdeungpo Park boasts an eclectic variety of people: retirees, middle-aged adults, middle-aged children, middle-aged babies, singles, couples, families, etc. You name the Korean demographic, and it will be represented here. It should be know that included in this range or people are many of Seoul's homeless. Compared to many other major cities of the world, Seoul does not have much visible destitution. But that does not mean it doesn't exist. Although it is quite evident in this area, that shouldn't dissuade you from spending time at the park. It is a lovely place that provides a chance for you to meet people from all walks of life. A rather large shopping mall, Times Square, is close by. Don't be scared to buy things you will need for the park at the mall: picnic food, picnic mat, ball, toothbrush, etc. 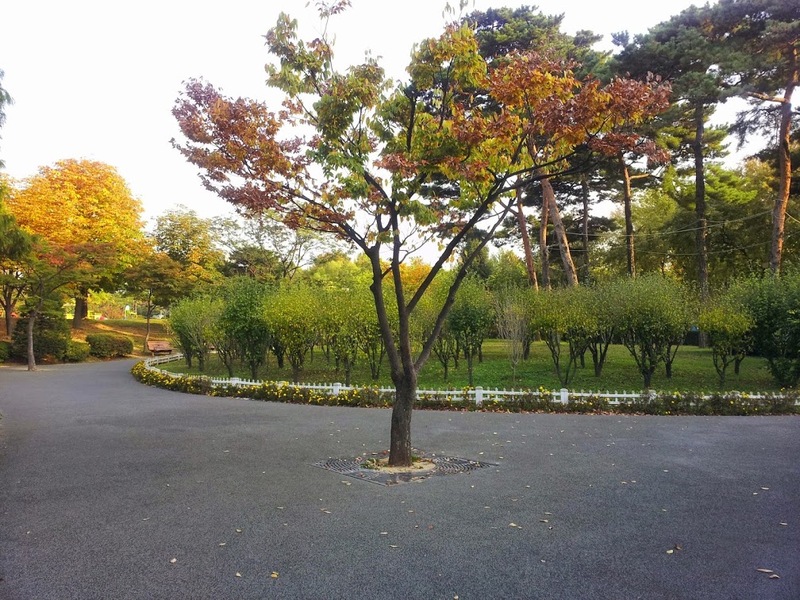 To see more photos of Yeongdeungpo Park, check out The Seoul Stop's photo album. -Go out exit 1. Walk straight for 190 meters.